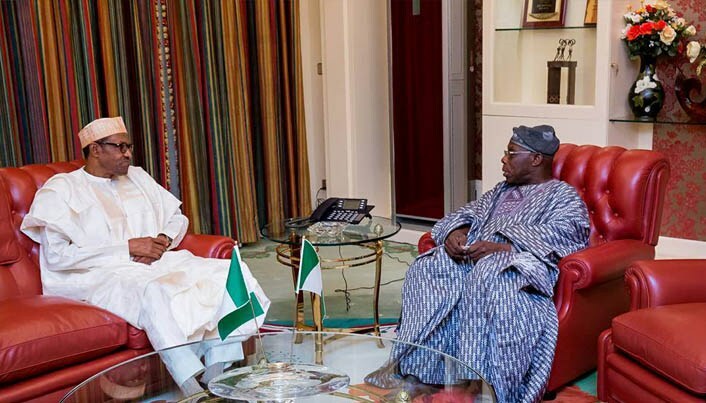 Former Nigerian president Olusegun Obasanjo has lambasted President Muhammadu Buhari, making a case that 2019 could be rigged. The multi-ruling former president thinks the electoral commission, INEC, is not neutral. This is the second major letter Obasanjo is writing on PMB in this domain. Read the full statement below. But I know that these criminals cannot withstand a Police inquiry let alone clinical probe on the past public offices they held. My fervent prayer is that President Buhari may live to see the will and purpose of God for Nigeria. My final appeal to him is to desist from evil with manipulation and desperation because evil has repercussion especially as man who should watch and be mindful of his self-acclaimed and packaged integrity. At the end of the day, those who goad you on will leave you in the lurch. You will be left alone, naked and unheralded. In defeat, which must be Buhari’s fear leading to desperation, he and his co-travellers can still maintain modicum of decency, and exhibit fear of God in their actions. We have been told that governance has been abdicated to a cabal. Now, campaigning has been abdicated to ‘jagaban’. And it is being authoritatively stated that he would not join any presidential debate. Nigerians will not allow the elections to be abdicated to INEC and Police to give us false and manipulated results. I personally commend the President for yielding to popular outcry to let the former Inspector-General of Police, Ibrahim Kpotun Idris, go when he is due as he had the track record and history of being assigned to rig elections for the incumbent. It was alleged that he was sent to Kano for that purpose in 2015. He was already deploying his Commissioners of Police on similar mission before his exit. We must all encourage the new Inspector-General of Police, Mohammed Adamu, to tread the path of professionalism, even-handedness, respect and new image for the Police.